or call our office at 323-571-4025. Anyone can throw a party. 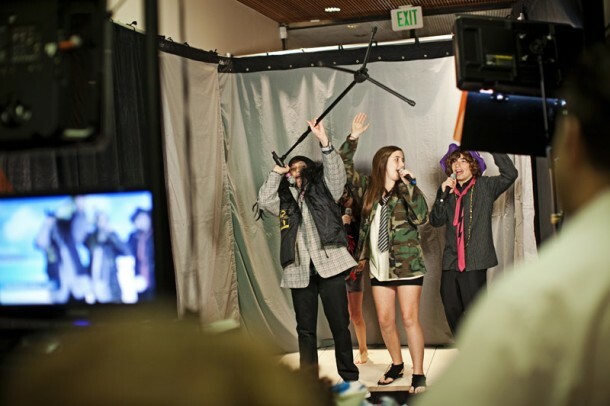 What makes SpotlightLA stand alone in the world of Los Angeles Bar Mitzvah DJ and Los Angeles Bat Mitzvah DJ entertainment is our excitement, creativity, and passion. 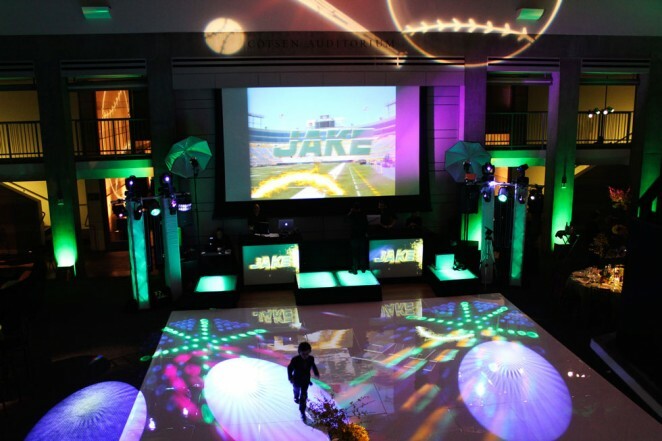 We work with our clients every step of the way bringing their ideas of the perfect event from concept to reality. We provide incredible production designs of live, interactive, and one of a kind parties, that your family and guests will remember forever! Music, while very important, is only one piece of the puzzle. 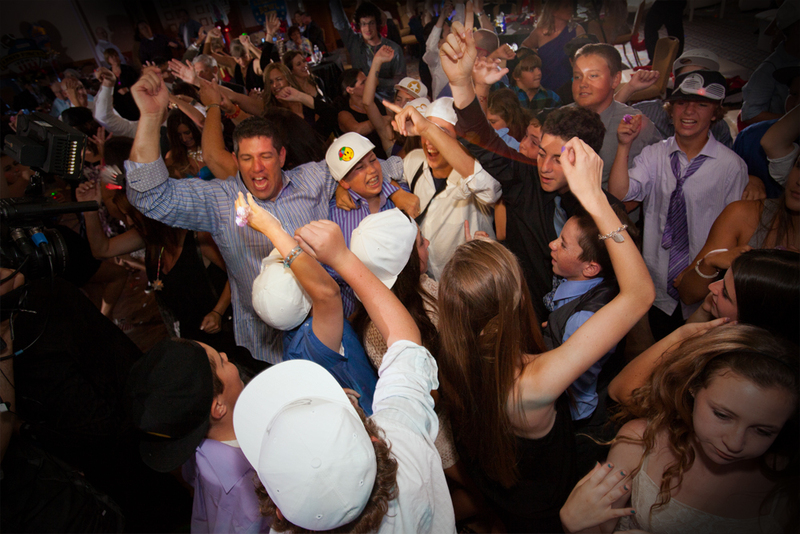 Our professional Bar and Bat Mitzvah DJs will keep the party rocking. Energetic and atmospheric lighting, interactive and immersive décor, and the ability to enroll your guests into a vision of the perfect event, are what transforms a party into a SpotlightLA Experience. 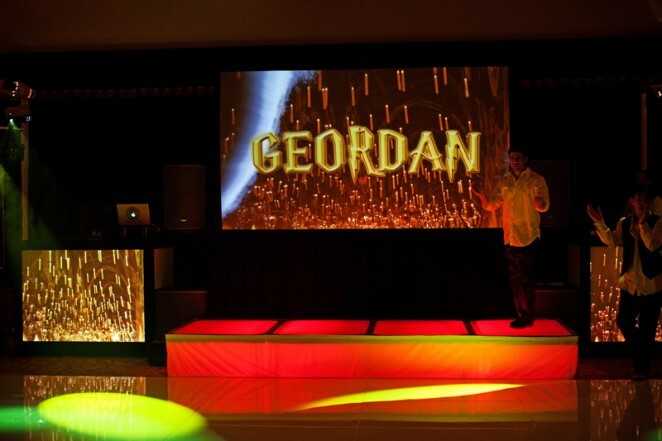 SpotlightLA is the premier Los Angeles Bar Mitzvah DJ and Bat Mitzvah DJ entertainment company. Regardless of the size of your guest list or venue, we provide nothing but the best service possible. We give our clients the opportunity to create their own SpotlightLA Experiences or choose from experiences we have outlined in our catalog. We can accommodate your vision of the perfect party and help in the event planning process along the way. 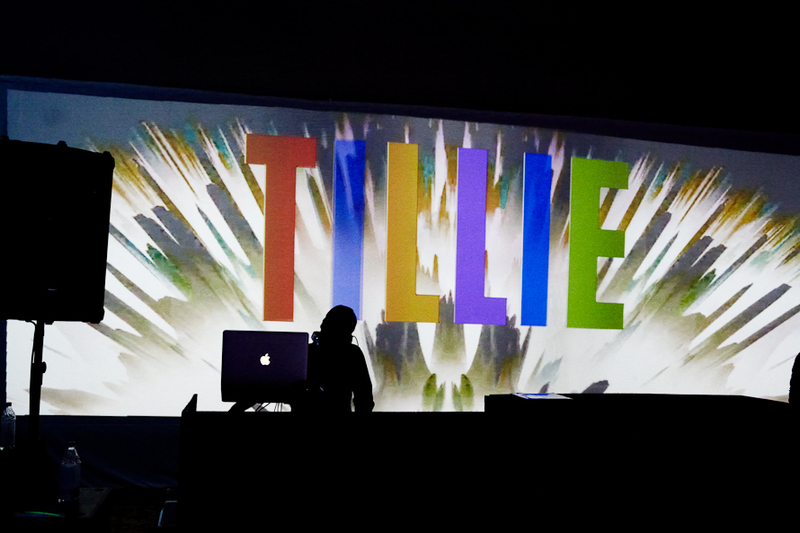 Whether you want a more relaxed environment with atmospheric lighting and dancers, or prefer breathtaking concert style productions with customized light shows and visuals, we have you covered. All clients deserve the best experience possible and we bring that approach to every event. Request our Catalog from the menu above to see all of the amazing products and services we offer. 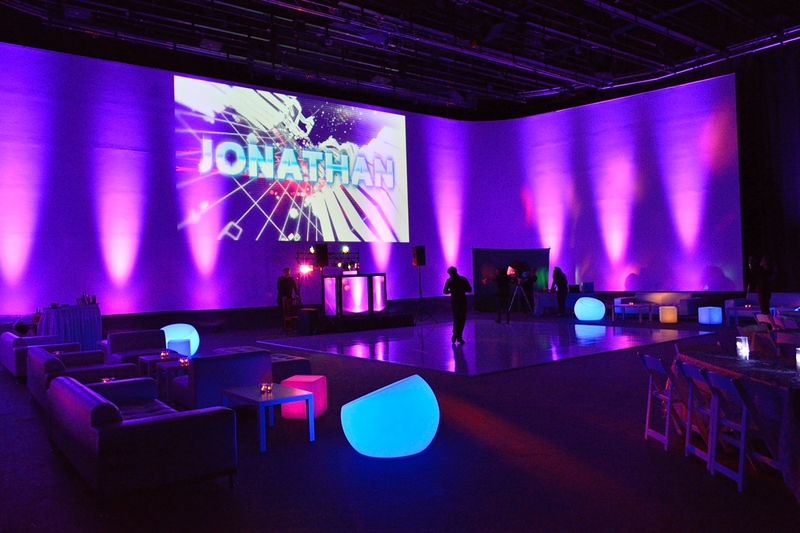 Our amazing Bar Mitzvah DJ and Bat Mitzvah DJ entertainment teams will help you create the event of a lifetime. We bring fresh, innovative ideas, along with open communication and dedication towards producing the ultimate party. We know everyone has their own vision of the perfect event, contact us and inquire about how we can help you achieve it. 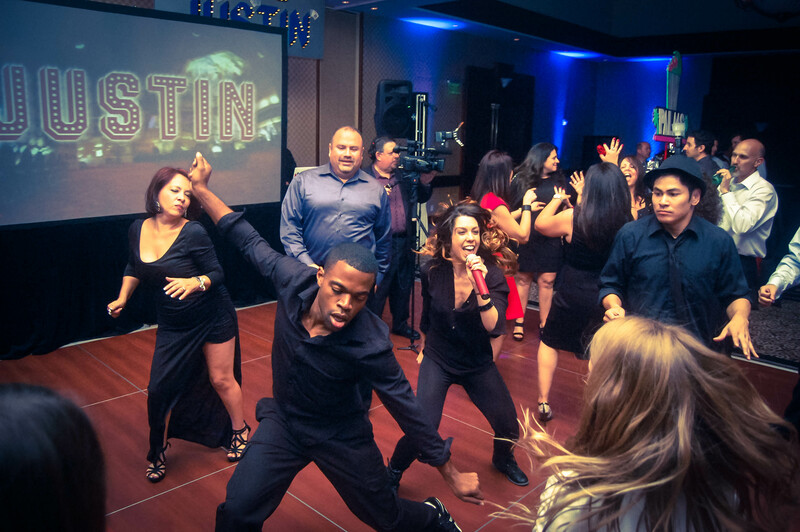 Our MCs, DJs, VJs and Dancers all work as a team to flawlessly execute the production. 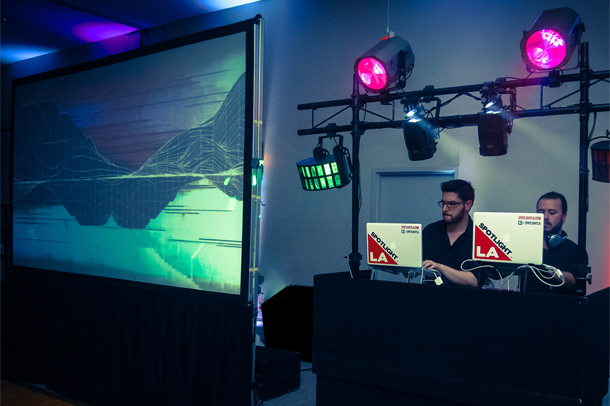 As the leading innovators for Los Angeles Bar Mitzvah DJ and Bat Mitzvah DJ entertainment, we use top of the line equipment and professional artists to customize and transform traditional parties into once in a lifetime experiences. 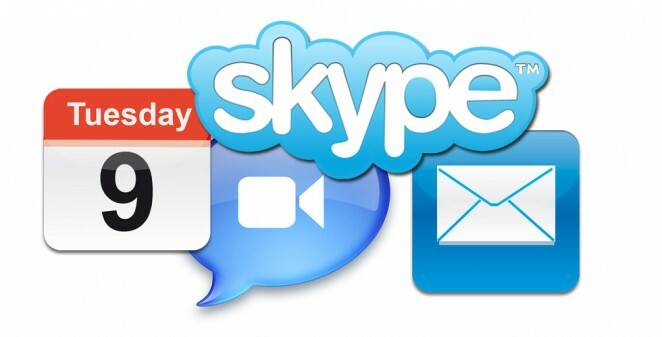 We encourage you to collaborate with us. Everything from music choices and song selections, to our virtual elements of lighting and visuals that can seamlessly tie into your décor. Your guests will be amazed throughout the night. Our clients love us, and you will too. Don’t just take our word on it, we are happy to share their kind words on our Client Testimonials page. Read through or watch our video testimonials and you’ll see the end result of choosing us for your Los Angeles DJ entertainment. Our clients are happy, stress free, and have the most successful Los Angeles Bar Mitzvah DJ and Los Angeles Bat Mitzvah DJ events. Whether you are having a Bar Mitzvah, Bat Mitzvah, or B’nai Mitzvah, it is a once in a lifetime celebration for your family. Remember when choosing your DJ and entertainment company that it’s not about a single performer. The success and enjoyment of your party require having the best team! SpotlightLA’s team are a close knit family of passionate, creative, and incredibly skilled talent. Every event is new and exciting, and we always look forward to celebrating with our clients. Many of our staff are Jewish and have been through the mitzvah event planning process, too. We strive for perfection and always give 100% effort. 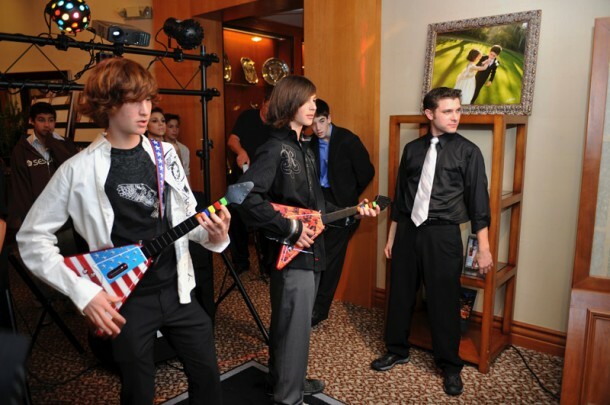 You won’t find a better team of skilled Bar Mitzvah DJ and Bat Mitzvah DJ entertainers in Los Angeles. 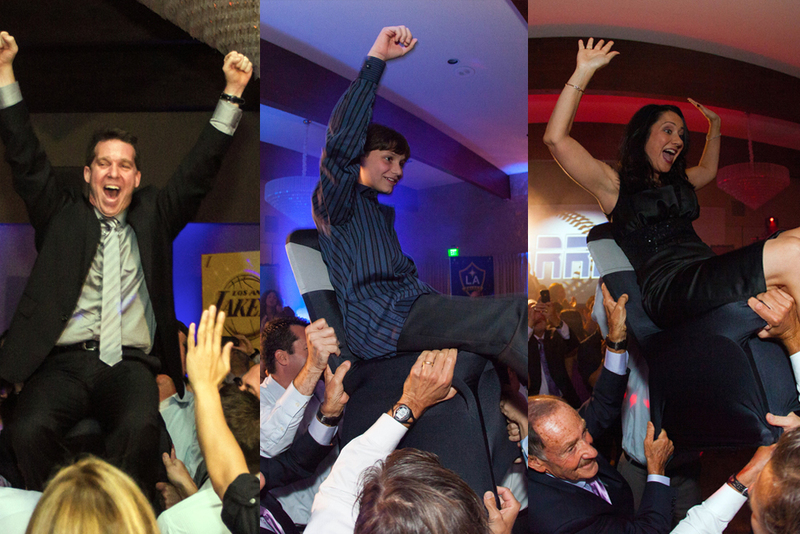 SpotlightLA believes that the foundation of every great Bar Mitzvah and Bat Mitzvah are the relationships we build with our clients. That bond helps create the best Bar Mitzvah or Bat Mitzvah party. Our clients are relieved to have a team of Los Angeles’s best entertainment specialists guide them through the event planning process. 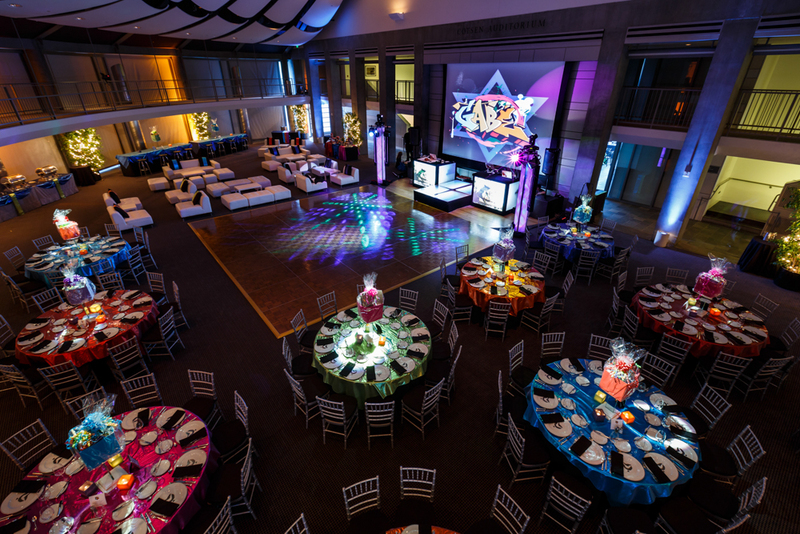 Our team’s knowledge, resources, and many years of experience, provide great opportunities and ideas to help make your Bar Mitzvah or Bat Mitzvah successful. 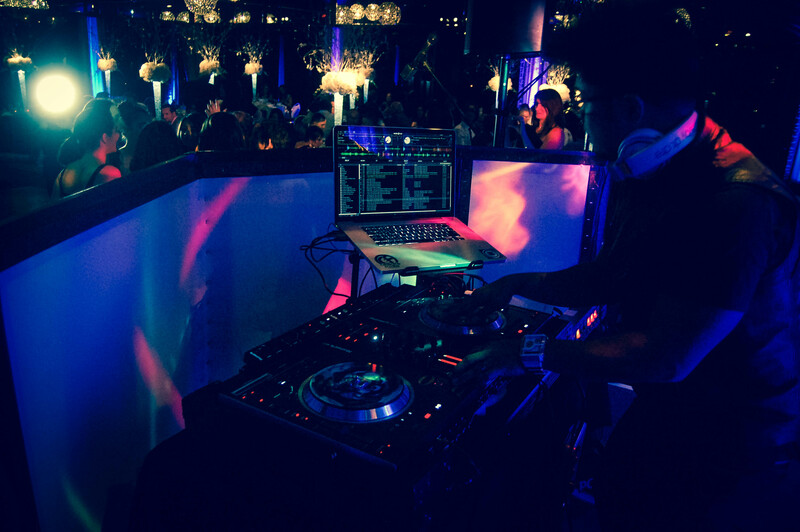 The planning process can be arduous and intimidating, but we encourage open communication with your entire Los Angeles Bar Mitzvah DJ or Los Angeles Bat Mitzvah DJ entertainment team to to help minimize any stresses and concerns you encounter. Utilize our expertise for anything from help with designing invitations, ideas for wardrobe changes or bat mitzvah dresses, even creating new concepts for giving speeches and candle lighting. We always have time for our clients and love to help in any ways possible. Over our 13 years we have had the privilege of meeting and working with the best professionals in our industry, at the best venues in Los Angeles, Orange County, San Diego, Santa Barbara, Las Vegas, and other great locations across the country. We are happy to share these connections with our clients to help you find the best venues, planners, photographers, and videographers for your event. You want to work with professionals who are respectful and understand the importance of your milestone, and cater to yourn needs. They should have the skills and dedication to give you the best results. If you have any questions about your party, not just the entertainment, we would be happy to share our knowledge and experience to guide you towards your perfect fit. You can view our list of Venues and Vendors here. If you contact them, let them know SpotlightLA sent you and they will take amazing care of you. 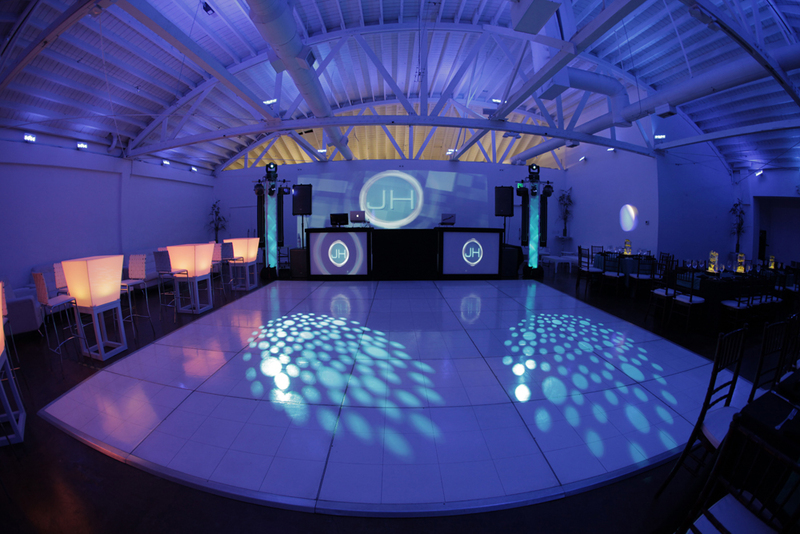 With plenty of vendor choices for Los Angeles Bar Mitzvah DJs, Bat Mitzvah DJs, and B’nai Mitzvah DJs, SpotlightLA offers guests specially designed and creative entertainment activities. Participate in over 20 large scale Virtual Game environments on our giant movie screens. 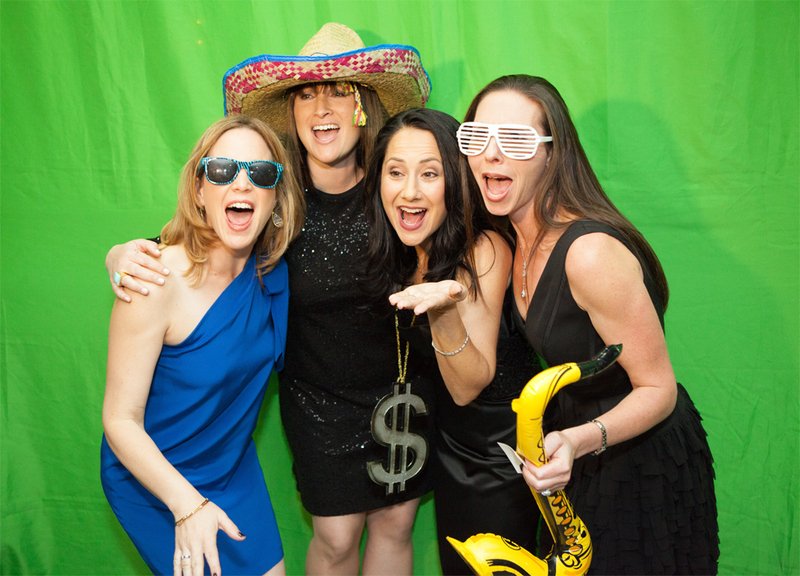 Transport your guests and family into our Be Anywhere Green Screen Photos, or state of the art Photo Booth. Ask us about our various specialty vendors. Whether you want to swing for the bleachers in our Home Run Derby, show off your best dance moves in Dance Central, or become a Jedi master in our Star Wars lightsabre dual, we have your cocktail hour needs covered. We provide the best cocktail hour solutions for any Bar Mitzvah or Bat Mitzvah event. We can even integrate them into your party or theme. contact usClient TestimonialsSpotlightLA’s teamYou can view our list of Venues and Vendors here.